Home Useful Tips Useful Tips – What Happens In Your Body When You Eat a Hamburger? Useful Tips – What Happens In Your Body When You Eat a Hamburger? 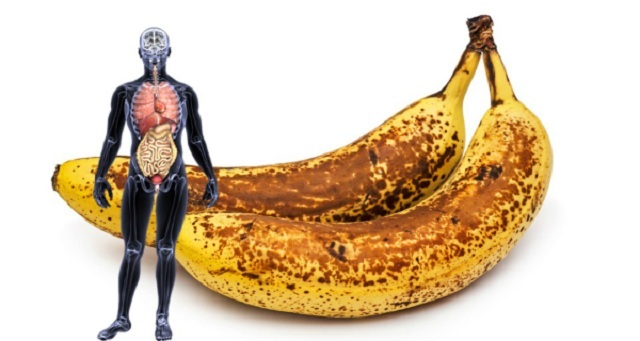 Nutritionist Keri Gans, author of numerous papers and books on Nutrition for Yahoo Health clarifies exactly what is happening in the body after consumption of fast food, and how it leaves long-term consequences on our health. There is a reason why fast foods are called “comfort food”. Red meat burger is full of amino acids that stimulate the secretion of serotonin, a hormone of happiness, which is why we feel better for a moment. Red meat is packed with saturated fat. Eating foods that are high in saturated fat increases the long-term risk of heart disease and stroke, and can increase the risk of developing cancer. Burgers that are full of salt are causing water retention, making you feel swollen, and your heart will work more difficult, which increases blood pressure. Great damage to the arteries is done after consuming just one fast food meal – according to results of a study conducted in 2012, published in the journal Canadian Cardiology. With time, the saturated fat in red meat increases the level of harmful cholesterol. The good side of the red meat is that it contains a large amount of iron, vitamin B12 and zinc, which strengthens the immune system. Blood sugar: The refined carbohydrates from the hamburger are quickly digested and cause an increase in blood sugar. On long term this can increase the risk of developing type 2 diabetes. Red meat is rich in protein, provides instant energy and helps build muscle and bone. Fast food is extremely caloric. With time, the excess calories can lead to obesity in which the body is brought in the risk of getting a serious disease. 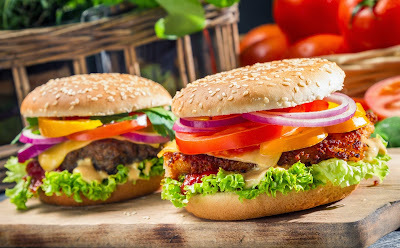 The refined carbohydrates from the hamburger are quickly digested and cause an increase in blood sugar. On long term this can increase the risk of developing type 2 diabetes.